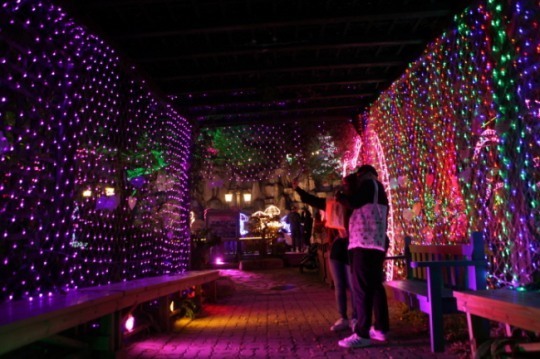 Herb Island in Pocheon, Gyeonggi Province, will be hosting the annual Lighting & Illumination Festival until Oct. 31. Inspired by European Christmas markets, the festival offers various events, including Christmas-themed soap, tree and candle-making, a Christmas cookie market and roasted turkey. Gurye Sansuyu Festival is an annual spring flower festival that takes place in the Jirisan hot springs area. Major programs include an exhibition of local products made from sansuyu (cornus fruit), traditional music and dance performances and fireworks. For more information, call the travel hotline at 1330 for Korean, English, Japanese and Chinese services. The website (gurye.go.kr) is only available in Korean. 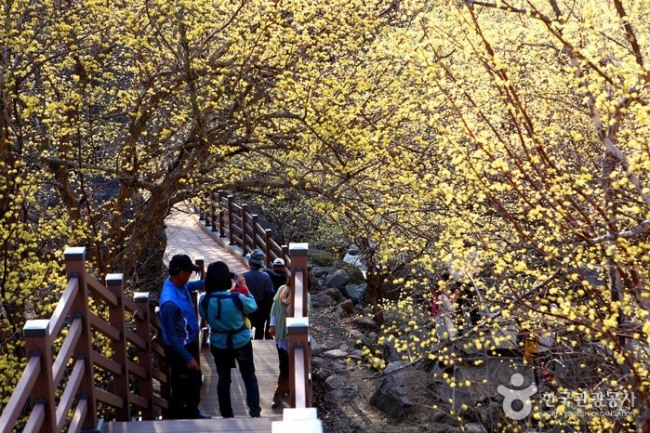 Held in Hyuae-ri at the foot of Hallasan on Jeju Island, the Hyuaeri Maehwa Festival takes place every spring. 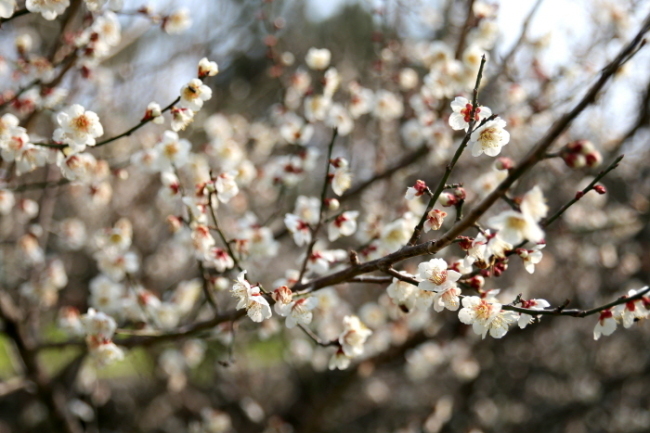 Visitors can enjoy beautiful apricot flower fields at Hyuaeri Natural Park. The admission fee is 11,000 for adults won, 9,000 won for teenagers and 8,000 won for children. For groups, the fee is 8,000 won for adults, 7,000 won for teenagers and 6,000 won for children. The event is open to visitors of all ages from 10 a.m. to 5 p.m.
For more information, call the travel hotline at 1330 for Korean, English, Japanese and Chinese services. The website (www.hueree.com) is only available in Korean. 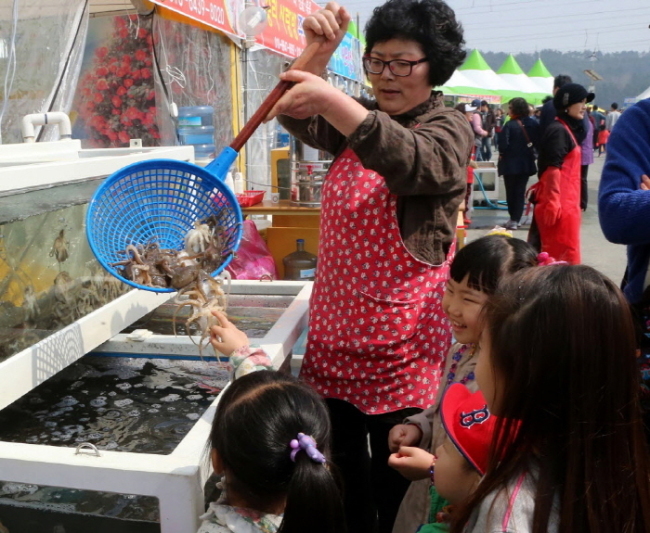 The Seocheon Camellia Octopus Festival is being held in Seocheon County. Visitors can enjoy the sight of blooming camellia flower trees and freshly caught octopus from the West Sea as well as food markets. Various activities are available, such as octopus fishing and watching live ocean creatures. The event is open to visitors of all ages. Refer to the official website (seocheon.go.kr) for more information in Korean, English, Japanese, Chinese, Vietnamese or Cambodian. 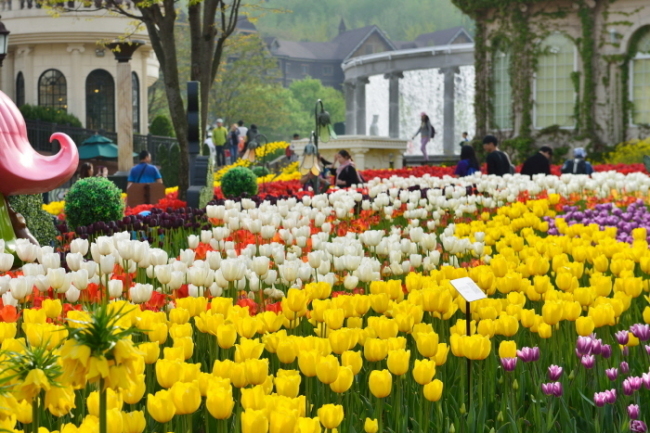 Everland hosts the Tulip Festival to mark spring from March to April each year. Over 1.2 million tulips in 100 different varieties including Apeldoorn, Synaeda Blue and Pink Diamond are on display. Photo zones include the 26-meter-tall Flower Magic Tower. As night falls, the LED Musical Rose Garden features light-emitting diode roses lit in various colors. Refer to the official website (www.everland.com) for more information in Korean, English, Japanese or Chinese, including admissions.